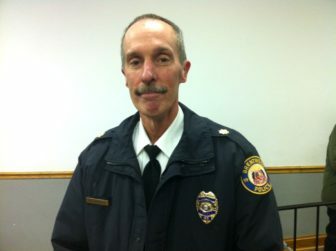 According to the city of Brentwood, Chief of Police Dan Fitzgerald has decided to retire from the city. He has accepted a position as associate director of CYC sports with the Archdiocese of St. Louis. Fitzgerald is been a life-long Brentwood resident. Mayor Chris Thornton and the board of aldermen thank Fitzgerald for his dedicated service to the city and his leadership of the Brentwood Police Department, according to the release. His last day is May 5, 2017. Fitzgerald was appointed chief in April 2014 by then-mayor Pat Kelly. Fitzgerald replaced Steve Disbennett, who had retired in February that year. Fitzgerald was the interim chief at the time. Fitzgerald began with the Brentwood Police Department as an officer in 1983, according to a press release from the city at the time of the appointment. He was promoted to corporal in 1999, sergeant in 2003 and major/assistant chief in 2009. In 2012 he attended and graduated from the FBI National Academy. 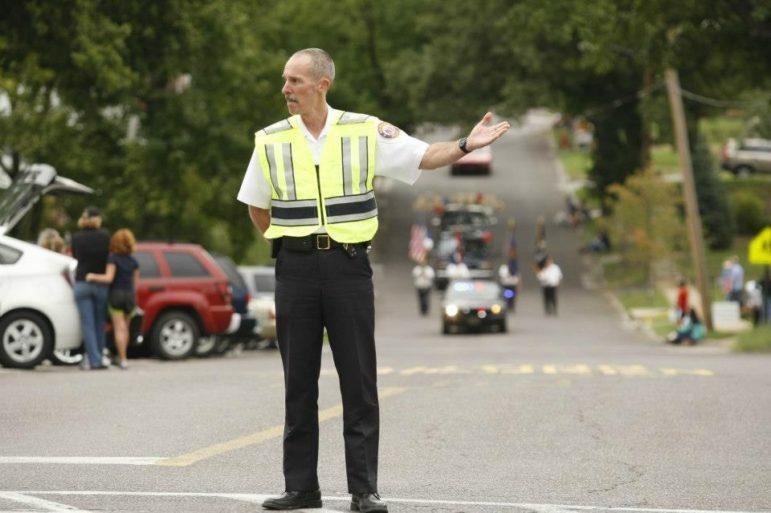 Fitzgerald directs traffic at the 2012 Brentwood Days parade. Dan, we are so happy for you and know the young people you work with will be blessed. Will miss hearing about your work with the city of Brentwood. We have kept track of you by way of 40 south news ever since Leeann passed away. Just so you know Frankie lived to be 21 years old. We had him 5. Chief, Connie and I wish you well and we are sure your fit with CYC will be an excellent fit. You have always been strongly interested in the youth programs CYC has to offer. P.S. We hope the city continues from within!